Many people tend to not know of the 4 guardians or the four symbols that represents the 4 races, in the game, due to it being of Chinese origin and what not. I've heard a lot of things in game about, why Lyn have to be tiny animals, why gons are so big and can't be smaller how Yun being the nature and should have summoner. While it is true that Yun is from nature, all guardians are from nature, however; had different roles. The Four Symbols (Chinese: 四象; pinyin: Sì Xiàng, literally meaning "four images") are four mythological creatures in the Chinese constellations. They are the Azure Dragon of the East, the Vermilion Bird of the South, the White Tiger or Kirin of the West, and the Black Turtle of the North. The Dragon Represents Gon - Gons are Tall giants and are very powerful, they have strength and this is why they have destroyer! Their burning rage helps deal out the wrath of the dragon! This is why you won't actually see a Gon in the back of the crowd, unless a FM. Their Tall muscular bodies are designed for endurance and strength and they'll always feel at home smashing things and being in the front line, taking the iniative. The Vermilion Bird represents the Yun - Yun are elegant and artistic! They love beauty, this is because the vermilion bird is elegant and noble in both appearance and behavior, hence why you see the Yun like they are and their choice of fashion. This is why they're more artistic and more drawn to the arts, such as music and dance. They're suited for sword play and all things beautiful, giving it artistic grace in battle, with style! The White Tiger or Kirin or Qilin represents The Lyn - The Qilin is also known as the Chinese Unicorn and is more associated with animals! It is a chimera of sorts and is more drawn to animals and nature, it also has dragon like Qualities, however it is depicted to be a fused with a unicorn, in some cases. It's form also varies from what form it takes. It can take form and shape of several different animals, this is why its children are animals, because it has a bond with the spirit of animals. Kirin is represent by nature and the spirits of animals, so you now know why they have summoner. Kirin are peaceful and love all things. The Black Turtle represents The Jin - The Black Tortoise or Black Turtle, the tortoise and the serpent were thought to be spiritual creatures symbolizing longevity. The Black Turtle taught the black arts of the shadow to man, pretty much! This is why you see Jin as the only Assassin, because its ancestor is the Black Tortoise. It is also called "The dark Warrior" for a reason, which I already given you. Despite it being a turtle with snakes, it is very fast, cunning and agile. It uses trickery and shadows and is associated with the element of Water. One of its alternative names is The Dark Emperor of The Heavens. These are the four symbols and the four guardians that you are representing, in this game. This is why Gons are so big and powerful, they're the descendants of Seiryu. 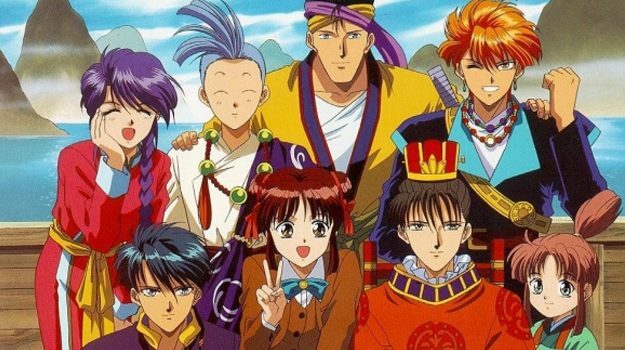 This is why Yun are only women, they represent beauty, elegance, grace, nobility and are children of Suzaku. This is why Lyn are animals, they're nature, spiritual, in tune with nature, can speak to nature and are children of the Kirin. This is why Jins are the dark warriors, cunning, agility, fast, mysterious, tricky and descendants of the Black Tortoise Genbu. Ahh I see, that was an interesting read xD. I always thought the Yuns are equivalent to elves, GOn are like vikings, eh.. similar to Norns in GW2 lol, and Jins are human, and lyns...dwarves i guess lol. Also, I think it tells you about the guardian thing on the char. creation screen, tho they only describes Gon as "descendants of the dragons", while Yun inherited of the "phoenix" but I guess it's what the Vermillion Bird is, otherwise there's a slight detail change in the lore. Kirin is the term they're using for the Lyn. Gon are pretty much giants but that's because their bodies are built that way due to being the descendants of The azure dragon, It's not a cliche point of view. They're the biggest race in the game, the character can chose. Side by side against other races, you'll stand taller, especially if you're a male Gon. Yun is suppose to be the Vermilion Bird, not a Phoenix. They look similar, but are not the same.